In our last article, we talked about growth guarantees that help maximize the income value of Fixed Index Annuities. With income in mind, let’s shift our focus to annuity payout rates. One of the most important things to look for when considering the purchase of a fixed index annuity is the annuity payout rate. Why? The payout rate is the #1 key to maximizing your retirement income potential. So, you’ll want to get a solid grasp on the concept of payout rates, but if you have any questions that are not answered in this article, please contact us for more info and we’ll be glad to help. 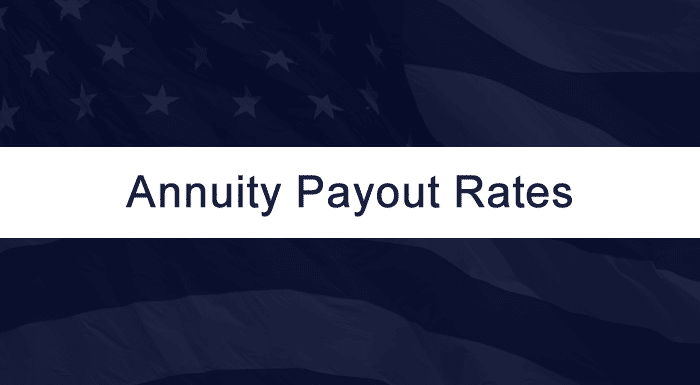 The annuity payout rate is the percentage of your income value you will receive each year for the rest of your life. Generally speaking, the older you are when you start your lifetime income, the higher your payout rate will be. Some plans also factor in how many years you are deferring income. Let’s assume we have two retirees, Mark and Andrew, who at age 60 both purchase Fixed Index Annuities they will use to create lifetime income. Mark funded his contract at Company A with $350,000. Andrew started with $400,000 at Company B. At age 65, they each have an income value of $500,000. For Mark, this is an overall increase of almost 43%, and for Andrew it’s an increase of just 20%. At first glance, it would appear that Mark has a much better annuity. But, remember Mark and Andrew both had the goal of creating lifetime income, so let’s look a little closer. 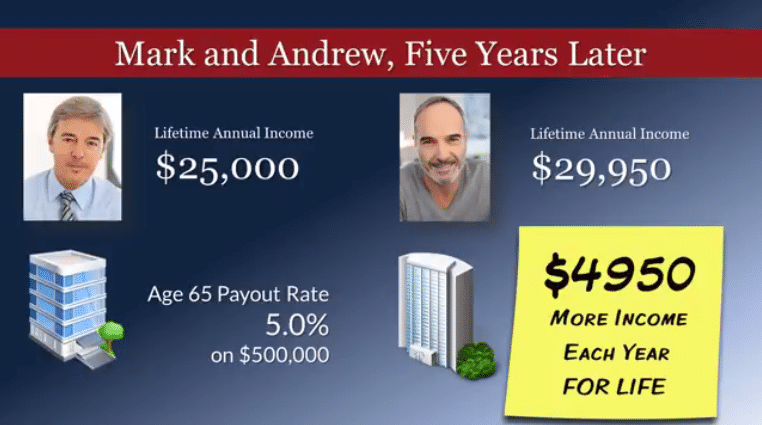 At age 65, Mark’s annuity with Company A has payout rate of 5% or $25,000 per year. 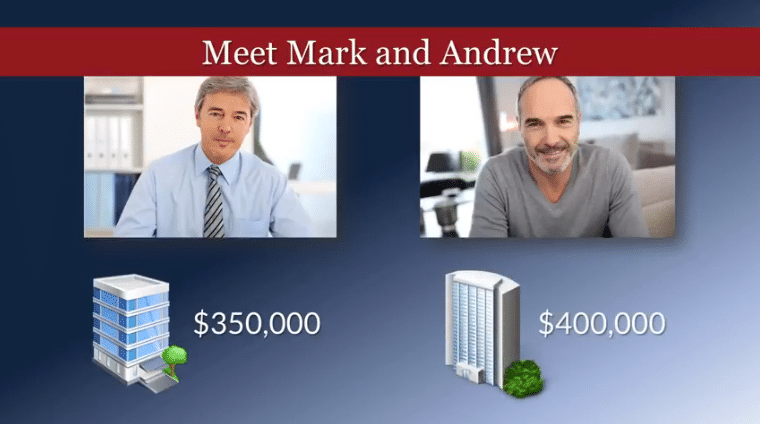 But Andrew’s annuity at Company B will payout his income at a rate of 5.99%, or $29,950. That’s nearly $5000 in additional income per year…each and every year FOR LIFE. What if Mark and Andrew decide to wait until age 69 to start their income? 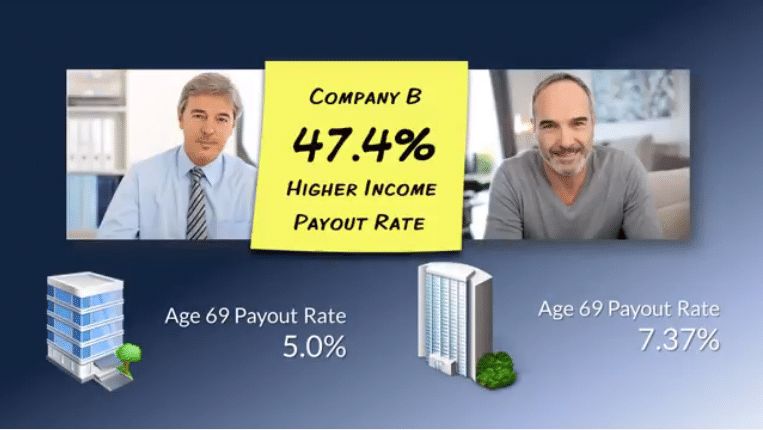 Mark’s contract at Company A uses age ranges to determine payout rates. His payout rate at age 69 would be the same 5%. But Andrew’s contract at Company B steps up the payout rate for each additional year he waits to start his income stream. His payout rate at age 69 would be 7.37%. 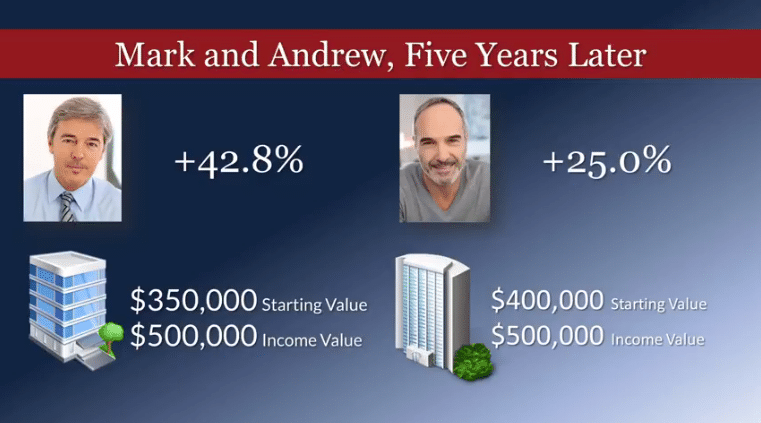 That’s right…Andrew’s payout rate would be almost 50% higher than Marks even though they started their annuity contracts at the same time and they are the same age. Clearly, payout rates can make a huge difference in your income and your lifestyle in retirement. That’s why it’s so important to work with an expert who understands your specific income needs, and can help you choose the product that will maximize your income based upon your age, and when you’ll need income to start. Thank you for reading our blog series on fixed index annuities! We hope you’ve found it to be informative, and that we’ve given you some insight as to how you can eliminate stock market losses, and maximize your income in retirement. If you would like to “view” the series instead of reading it, click the banner link below to gain instant access to our free video series. In case you missed any of the articles in the series, we covered the four types of annuities, fixed index annuity basics, principal protection, growth rate guarantees, and the annuity crediting methods of point to point, monthly sum, and monthly average. If you have questions about any of the topics we’ve covered, reach out to us through Annuity Watch USA.com or give us a call at +1 (972) 473-4700. We look forward to hearing from you! Click this link to get the latest annuity rates, compare providers and gather more information.